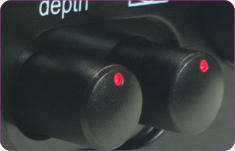 The Capella uses a variable gain control to adjust both headphone impedance and sensitivity. 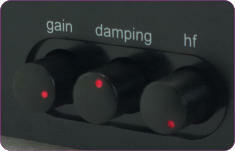 The gain control range is suitable for the adjustment of the sensitivity of headphones between 25 Ohms and 300 Ohms. Different headphones have a different resonance frequency and bass response sensitivity The Capella provides one of four settings to vary the voice coil damping for the best bass control and response. Some headphones have a very pronounced treble, which can ruin an otherwise brilliant listening experience. Some headphone users also suffer from ringing in the ears etc. from even a modest amount of treble. the Capella offers a high frequency control to dampen the HF response gradually so that excessively bright headphones can be tamed to a more acceptable user requirement. Depending on the design of some headphones, vocals and instruments in the centre of the recording can sound a bit too far back or forward. The Depth control offers a small amount of control of the apparent forward/backward position of the music. Balance control is designed to give you that level of control. Please note that the position is reversed on the Capella. Peak Level Detector will start to light up if the input signal is set too high. also available for use in the preamplifier section. position is reversed on the Capella. the input signal is set too high. Capella to share a single power supply with any of our current range of DACs. control. Please note that the position is reversed on the Capella. LEDs is far less imposing. available for use in the preamplifier section. allows the Capella to share a single power supply with any of our current range of DACs.